Buckle up and slide your way over to the Thirsty Step to celebrate the next Adult Swim X Kidrobot wild ride! 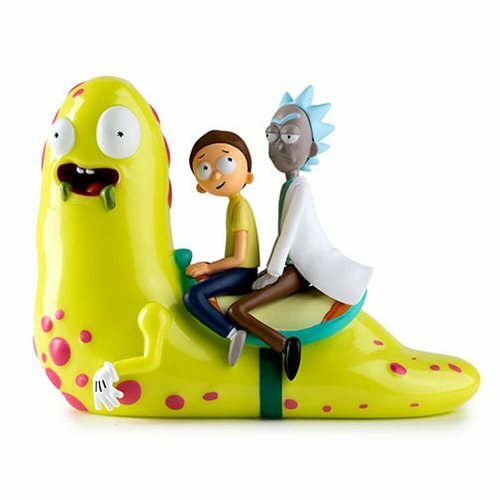 Standing at 7-inches inches tall, Rick and Morty hitch a ride good 'ol "Slippely-Slippery Stair." Buckle up for another intoxicating adventure with Rick & Morty and the Slippery Stair medium figure. Anyone have a spare 25 schmeckles? Ages 15 and up.